Standard rubber and thermoplastic hose range compliant with international standards. Special proprietary range exceeding international standards pressure, impulse, bend radius, abrasion and temperature requirements. A complete range both in carbon and stainless steel. Available in STANDARD, MULTISPIRAL and INTERLOCK versions. BSP, NPT, Metric, JIC, ORFS, SAE and Staple Mining connections. All ALFAGOMMA metal parts feature TOP COAT (ATC) an innovative proprietary surface treatment developed and patented by the ALFAGOMMA Research & Development team. 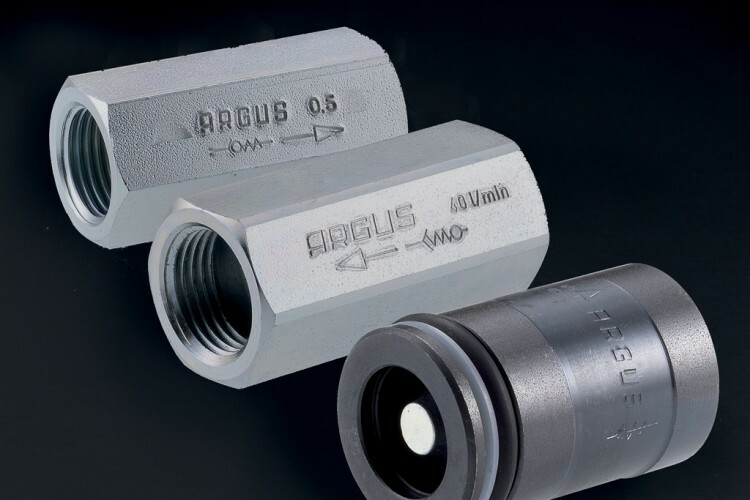 ARGUS quick release innovative couplings design is available in poppet, flat face and screw type. Meeting international standards and fully interchangeble. Multi-coupling version developed in partnership with global OEM. 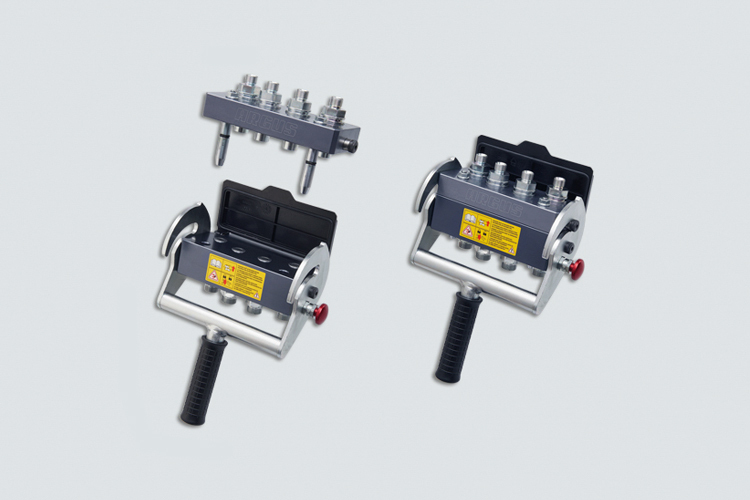 ARGUS MULTI-K is a MULTI-COUPLING system designed to handle hydraulic, electric and pneumatic connections developed in partnership with global OEM . Each MULTI-K project is the result of a close Co-Engineering work with OEM customers. 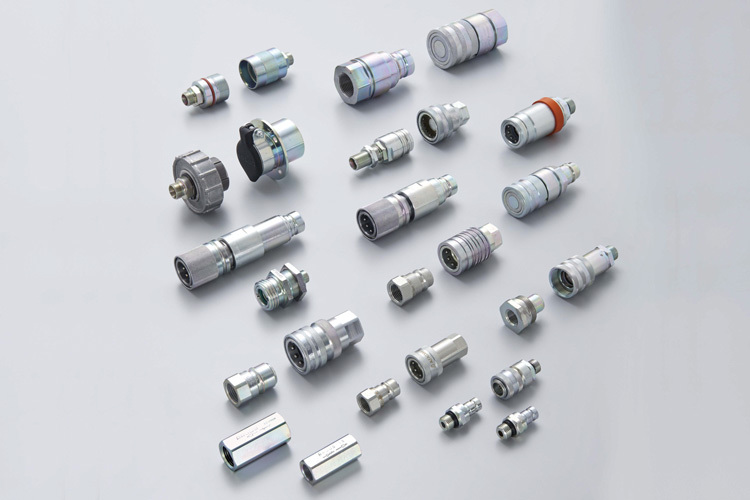 PLUG-IN CONNECTORS are specifically designed in partnership with CIMATIC to simplify assembly installation and eliminates installation error. Ideal for reduced assembly time in restricted spaces. 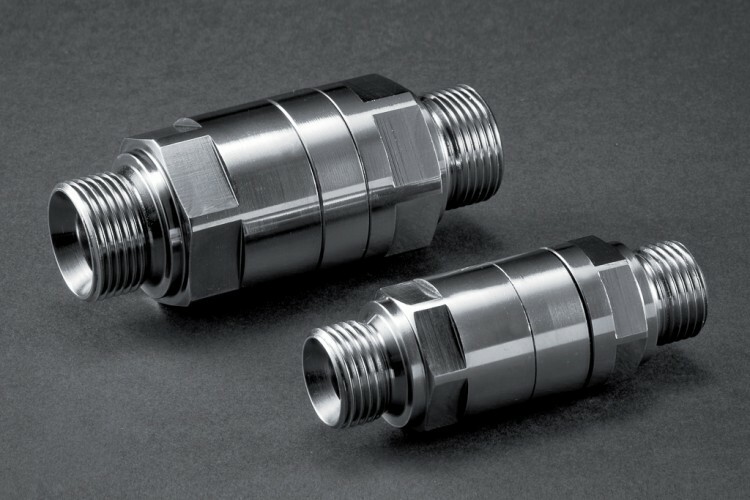 SWIVEL CONNECTORS are designed to ensure long lasting performance in equipment requiring continuous or intermittent rotations. Compact design, smooth rotation, operating pressures up to 420 bar (6000 PSI), sizes up to 51 mm. 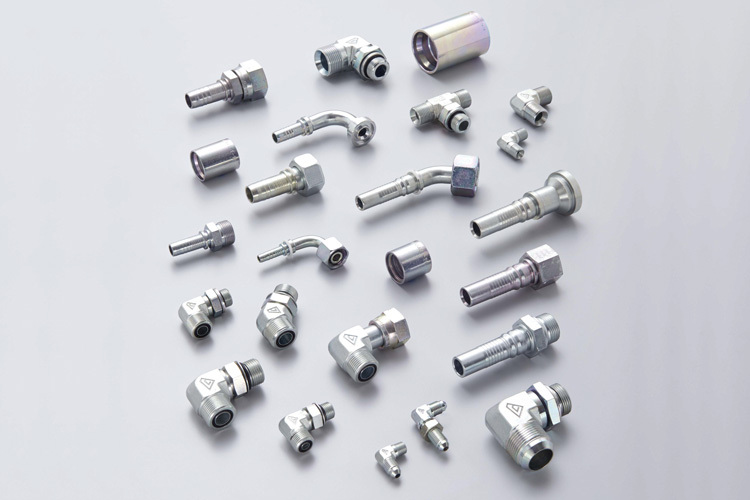 Available according to OEM termination requirement. 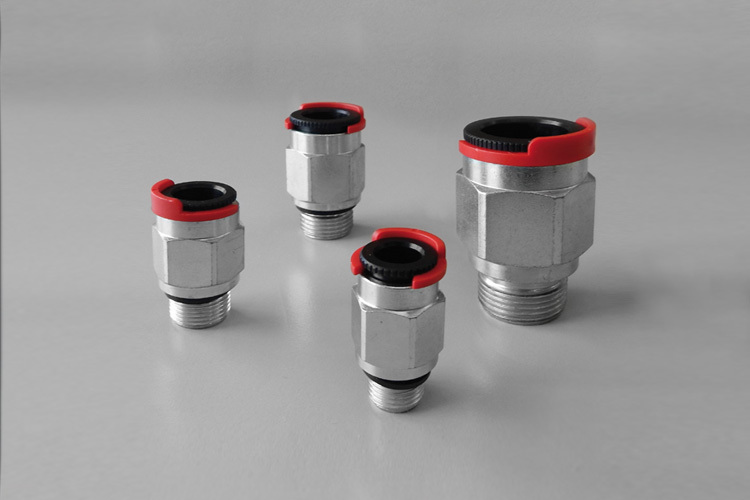 ALFAGOMMA range of ball and check valves are designed for high and low pressure application with nominal diameters up to 51 mm. 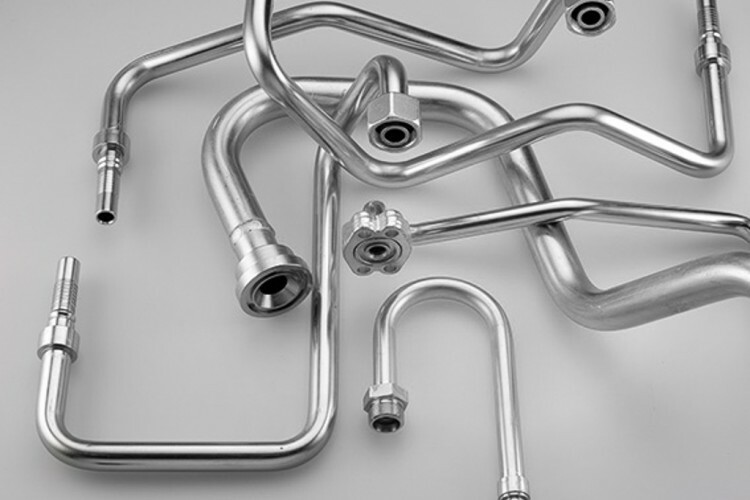 Available in brass, carbon and stainless steel in different termination requirement. 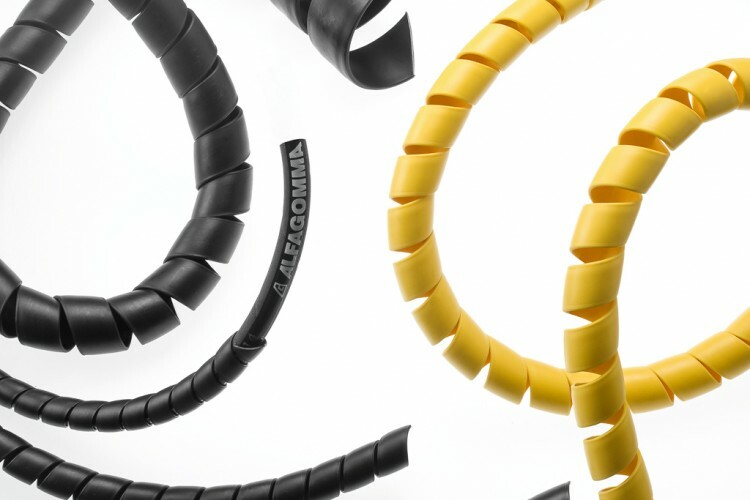 ALFAGOMMA's high quality plastic spiral hose guard is specifically designed to perform in most hazardous enviroments where abrasion and external factor would othervise jepardize hose life expectancy. Available in Standard, MSHA and FRAS version. Rounded edges construction to allow easy installation. 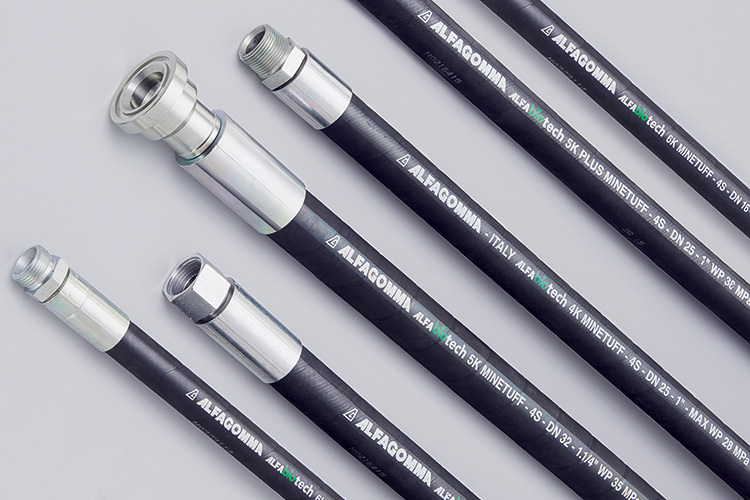 Alfagomma manipulated pipe range is built to OEM specification and designed to be fully inegrated with ALFAGOMMA flexible hose, fitting and quick coupling range.